Play for a Cure Foundation had a unique opportunity to donate some money last month. 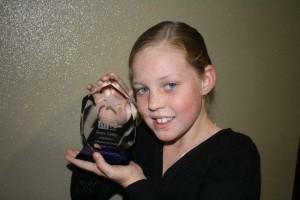 In all cases to date we have been able to write a letter, enclosing a cheque, when donating. It is still a great thrill to be able to sign the cheque, but even more so when we were presented with the chance to hand the cheque over in person! 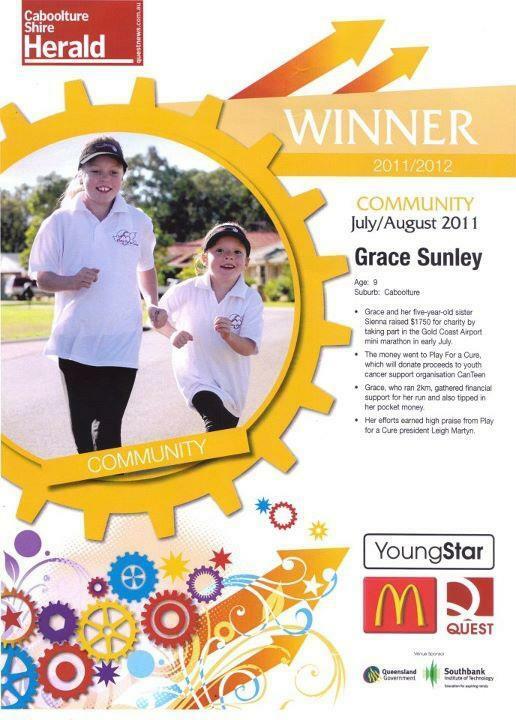 As all of our followers would be aware, Grace and Sienna raised over $1600 for us when they competed in the Junior Dash at the Gold Coast Marathon. 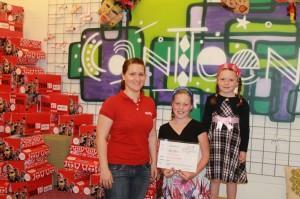 In consultation with the girls and their mother, Ange, we decided to donate the funds raised to CanTeen. 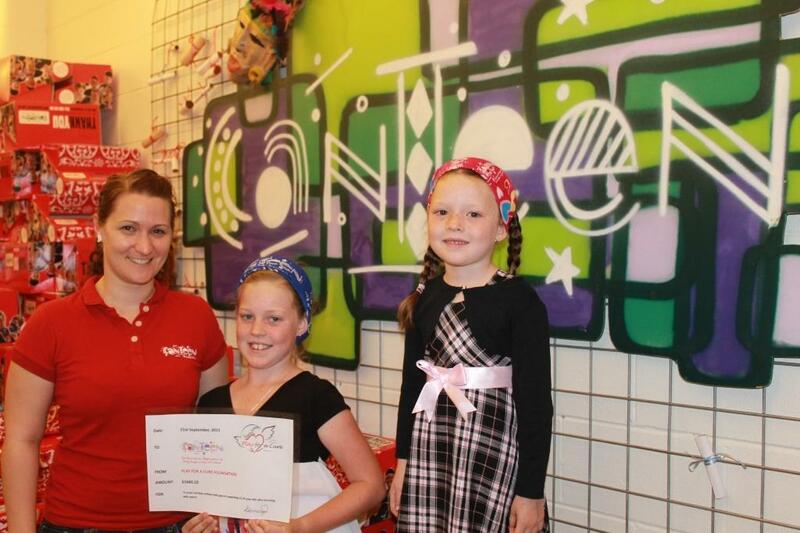 P4AC made contact with the CanTeen branch in Fortitude Valley, and like us they were excited to meet. 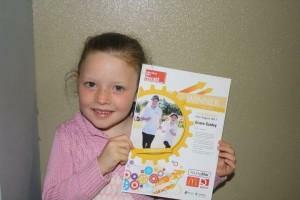 Grace and Sienna were on school holidays and so the date was set for the 21st September. The girls arrived, looking beautiful, and CanTeen showed us through the branch office as well as showing us a short video of the work they do. Truly wonderful and inspiring. Bandana day is on the 28th October, and the CanTeen volunteers were working madly to pack the bandanas to allow distribution. We were taken out back and Grace, Sienna and Ange were able to pick their favourite coloured bandana and they all promptly put them on! The girls were very keen to present the cheque to CanTeen, so we head out to the CanTeen Member’s area and the presentation was made. CanTeen advised that the funds received from Play for a Cure Foundation will assist in 3 CanTeen camps – once you know what these camps do for CanTeen members, you will understand how proud it made us all feel. During our farewells, Grace was already telling us of her plans for her next fundraising adventure. How lucky are we to be associated with such a wonderful family. 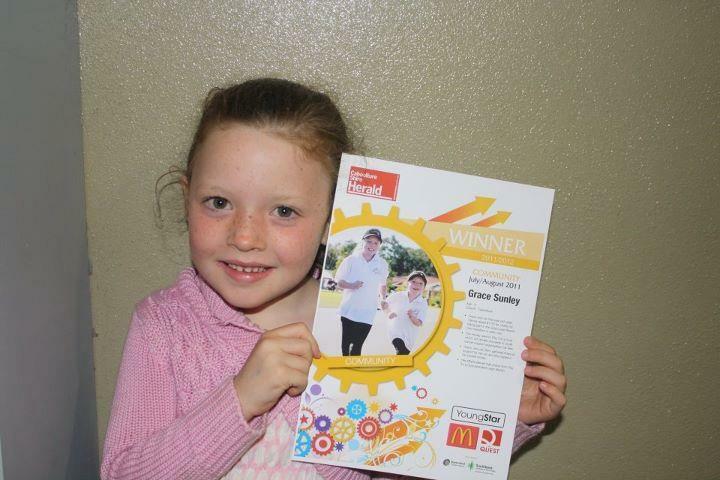 To the Sunley’s – thank you! 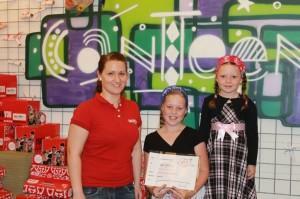 To CanTeen – keep up the great work you do – you’re amazing! 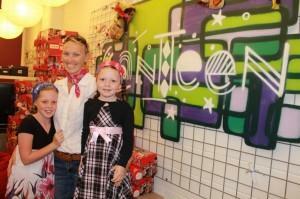 Please check out the following links to read on about CanTeen and National Bandana Day. 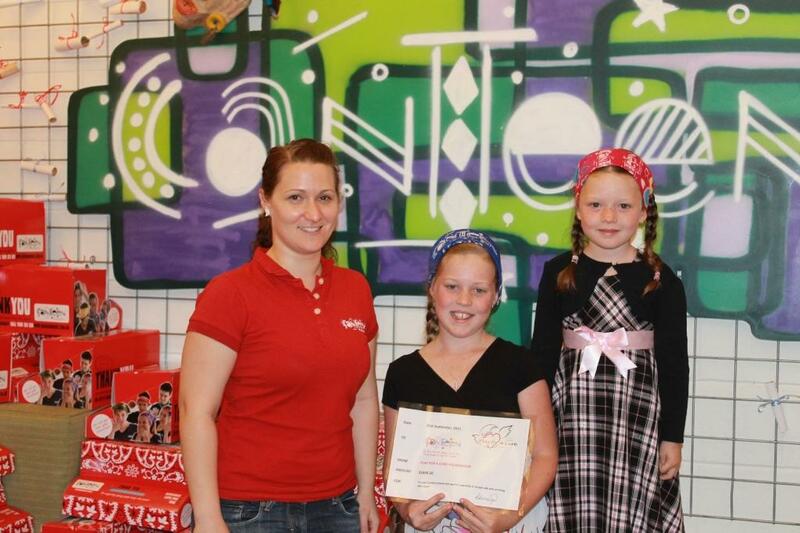 Special mention to Grace and Sienna for their efforts in fundraising for Play for a Cure Foundation. 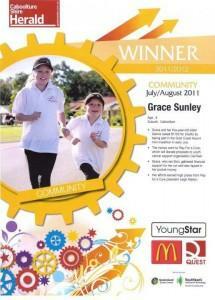 Although both girls competed, only one could be nominated for Quest News Young Star Award. We are very pleased to announce that Grace was nominated and won the Community award for the month of August – how very exciting for the girls! This entry was posted on Friday, October 7th, 2011 at 8:14 am and is filed under 2011, Previous Events. You can follow any responses to this entry through the RSS 2.0 feed. You can leave a response, or trackback from your own site.